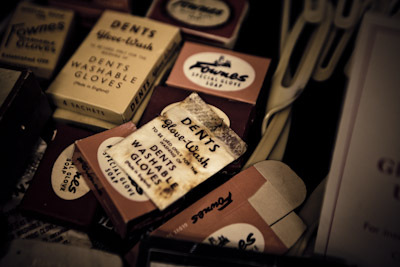 Rummaging through the image archive this week, I stumbled across these pictures from my trip to the Dent’s gloves factory earlier in the year. 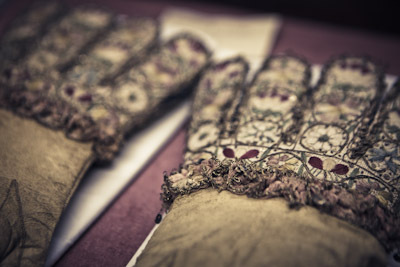 They are from the Dent’s archive, and show five pairs of gloves – two for women and three for men. 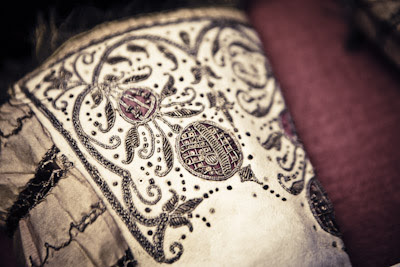 The first two shots are details of pairs made for female royalty. 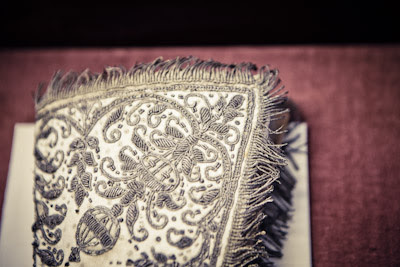 Aside from the lovely handwork in the detailing, it was interesting to see the similarity between these and the pair that Dent’s made Elizabeth II for her coronation – the same fringed edging, the same embroidery work. That is also true of the second two pairs, this time made for male royalty. Although almost a century apart, they are strikingly similar in design, and the rounded edges to the gauntlet section of the glove seem to be a consistent aspect of male gloves. 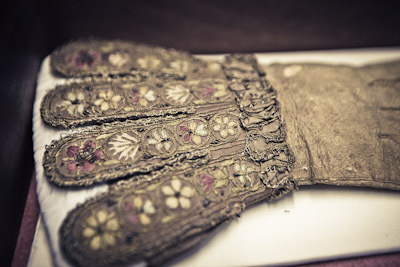 Last but certainly not least is a glove worn by Nelson, when he was injured in battle. 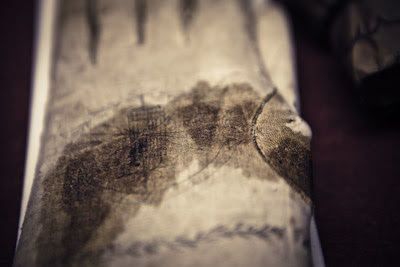 You can still see the blood stains on them. Although just out of shot here, the fingers of these gloves are pointed – not for style reasons but because it was simply too hard to cut and sew effective rounded ends in this delicate leather. Dent’s have since moved to new premises, where I hear this fantastic archive has been given more space to be shown to the public. You can follow the discussion on Dent’s gloves archive by entering your email address in the box below. You will then receive an email every time a new comment is added. These will also contain a link to a page where you can stop the alerts, and remove all of your related data from the site. Is the Napoleon gloves also made by Drake’s? Thanks for the pictures – very interesting indeed!